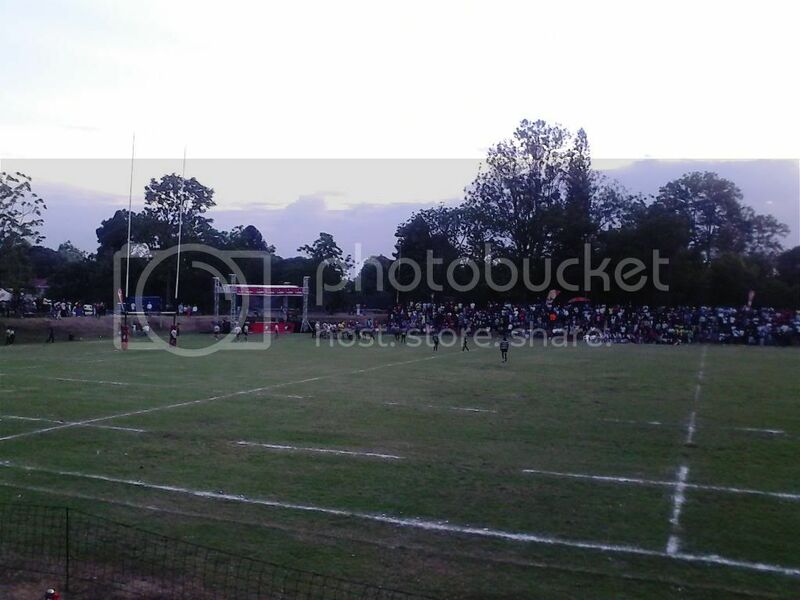 Zimbabwean rugby has a rich history and a very varied past, The first game was apparently played in the 1890s on a dry river bed near what is now the platinum mining town of Zvishavane, how much of this is legend I have no way of confirming but the first official game was against The British Lions on the 30th of July, 1910. Rugby in Zimbabwe can be split into 2 eras, the pre-independence era saw many of the top teams including the British Lions, All Blacks, France and Ireland where though the home team did not have much success the games were always tough encounters. The difference being the All Blacks tour of 1949 where they lost the first match and drew the second so the Kiwis left without winning a match. The ZRU has was formed in 1895 as the RRFU (Rhodesia Rugby Football Union) and in the early days up to the 1960's had a lot of high profile teams, unfortunately in the 60's a trend started which has plagued Zimbabwe rugby since, the exodus of players due to financial or safety reasons. Since Independence in 1980 rugby in Zimbabwe has reached the heights of the World Cups in 1987 and 1991 unfortunately without winning any games and after the 1991 World Cup the game entered a steep decline which resulted in the national team dropping to the 3rd division of rugby in Africa. The national league had disbanded and a lot of the clubs folded due to lack of interest. Since the turn of the century though a resurgence in the popularity of the game has brought about a new drive to the game. This has been brought about by the increase in schools playing the game in the high density areas. The Junior Sables squad has been successful in representing the nation at the IRB JWRT but has had competition from Namibia and Kenya. The 7s team has produced some memorable results but has, despite many close attempts, not achieved core status. 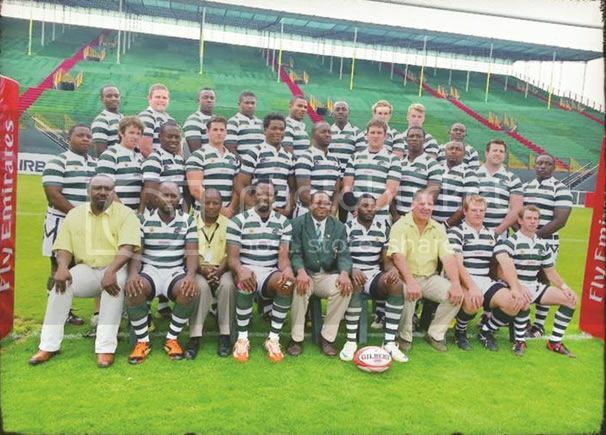 The Sables are now firmly in the top division for rugby in Africa, having won the trophy in 2012. The team plays every year in the Division 1A tournament, rarely finishing out of the top 2 and in the past has played in the Victoria Cup with Uganda and Kenya, though this has fallen away recently. There is talk of its reintroduction with 3 other teams (Namibia, Zambia and Tanzania) but so far nothing concrete has been set down. There has also been talk of Zimbabwe joining the Vodacom Cup in South Africa in the years to come and following Kenyas involvement this year there has been an interest locally in raising a team for future competitions. Club rugby in Zimbabwe is based in one national league, the National Rugby League (NRL) with 9 teams which will grow to 10 next season. Below that is the Metro League for northern Zimbawe and the Matabeleland League for the Southern areas. This is the basic run down of rugby ion Zimbabwe, any questions or queries I am open to answer. If I think of any more information I will post it here. Last edited by Sables4EVA on Tue, 22 Jul 2014, 08:20, edited 1 time in total. I will try get some pictures. There is not set venue for national games as first of all there has not been a home international in a few years and what normally happens is a club hosts the games. The government doesn't have much involvement in any useful way except recently when there was a question of racism in the game and they called in John Falkenberg (ZRU President) and dragged him over the coals (a little bit harshly in my opinion but this is as we say, life in Zimbabwe). Sponsorship from the corporate side is very slim at the moment and in fact the national league has started the season without a sponsor. The local season of club rugby kicked off in Zimbabwe last weekend with the majority of scores showing how lopsided the teams are in the league. It was increased from 8 teams last year to 9 teams this year and will be increased to 10 teams next year. Totally the wrong move as far as I am concerned the game would be better served with less teams, 6 at the most, as there are 3 strong teams based in Harare and 3 fairly strong teams based in Bulawayo. It would add more interest and better games increasing appeal for the crowds. With a promotion relegation match to see if the team coming up has reached the right level. Anyway the results are as follows, Old Hararians, last years league winners have a bye for the 1st round. This is a picture of the Sables taken in Windhoek during the international games at the end of last year. These are pictures of Old Hararians home grounds, taken during the final of the NRL last year in September. Old Hararians have put their stamp on the new season with a massive win but as usual the top 3 Harare teams are in a class of their own. The title will be decided in the matches between Old Hararians, Old Georgians and Harare SC. Yup, we would have had a decent side if there had been the money to keep them. Scot Gray is back in Zimbabwe and is coaching my old school 1st team (St John's College, Harare), schools rugby in Zimbabwe is the most professionally organised and most of the school coaches have high pedigrees, including Liam Middleton (Falcon College) and in the past Ian Macintosh coached Prince Edward High School. Inter school matches usually attract much bigger crowds than club matches. Interesting to hear that Sable. Nice to see Zimbabwean rugby on the rise again. We want the game to grow everwhere and i think Africa is going to be a big market once it takes hold. Sadly i think the likes of Namibia - so long a top African nation will begin to struggle purely down to lack of population as the larger nations begin to take over. Ive spent alot of time in Liberia when my dad worked there, so im always interested in African sport...specifically rugby. Yes rugby is on the rise in Zimbabwe and Africa in general, at the moment I would put the Africa Cup division 1 teams at between the European Nations Cup Div 1A and 1B and certainly at the Asian 5N level below Japan and the CONSUR A level. I would love to see a Nations Cup style tournament with the winners of ENC Div 1B, CONSUR A winners, A5N 2nd team and the Africa Cup winners. If we did that last year we would have had Kenya, Belgium, Uruguay and Korea. Interesting match ups all around. Out of interest, how many Boks (past and present) have strong Zimmy heritage? What would a historical XV look like? That would challenge Georgia and Romania and be competitive with most teams in the 6N. If you are looking historically we have Gary Teichman (8th Man), Adrian Garvey (Prop) Booby Skinstad (Loose Forward), Kennedy Tsimba (Flyhalf), Andy Marinos (Centre), Scott Gray (Loose Forward), Takudzwa Ngwenya (Wing), Thom Evans (Wing). You could also count George Gregan as he has a Zimbabwean mother and spent some of his education here. And these are the ones I know of, there a re a lot more playing in Australia and NZ. Oregon Hoskins is on a fact finding trip to Zimbabwe and to observe the Dairiboard Schools Festival at Prince Edward High School which involves 150 schools with girls rugby also included. He seemed to be impressed and has some encouraging words for Zimbabwean rugby. He has seen how seriously we take our rugby and hopefully now with his backing we can get more exposure on the international scene. He has proposed a 6 team African tournament that would be a really exciting and close contest. I thought Gregan was actually Zambian. That pack looks very good. The front rows and back rows are powerful! 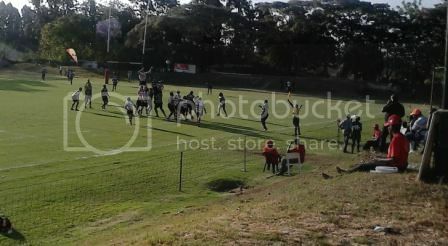 ZIMBABWE Rugby Union have launched an audacious bid to play in the Super (15) Rugby competition and talks are already underway over the proposal between visiting International Rugby Union vice-president Oregan Hoskins and the locals. The Super Rugby format is expected to change from 2016 to assume an 18-team format and four-conference system that will see one of the conferences including an African team taking part. Hoskins is reportedly keen to see Zimbabwe bidding to play more home games for the Sables. It would be pretty amazing if it happened. Definitively preferable to the BS I've heard about Dubai, Singapore, etc. Geordiefalcon wrote: I thought Gregan was actually Zambian. Born in Zambia to an Aussie father and Zimbo mother. Incidentally Jonny Wilkinson's mum is a white Zambian, or Northern Rhodesian as it would have been at the time. Everyone's least favourite Springbok Corne Krige is also from Zambia. Regarding Zimbabwe in Super Rugby - why do countries say such ridiculous things? Sadly the political situation there means the IRB wouldn't trust them to host the JWRT, never mind a Super Rugby franchise. Which is a real shame, because clearly they produce some talent. If the ZRU are serious, they can try to successfully field a Vodacom Cup then Currie Cup side first. Geordiefalcon wrote: Interesting lists there. He is classed as a Zambian as he was born there. As much as I would love to have a home Super Rugby franchise to go watch I am fully in agreement with you, The article also says Hoskins will promote Zimbabwe for future IRB tournaments but I will have to be a bit sceptical and take that with a pinch of salt. Is it true that Zimbabwe declined an invitation of a place in the Vodacom cup due to the finiancial struggles of running a team in that. How on earth then could they think they could run a S18 team? Last year the ZRU was approached and invited to field a team to replace the Namibian team. As far as I know the ZRU accepted and was preparing to raise the sponsorship for the campaign and sent e-mails and phone calls to try and confirm the fixture list and were answered with silence. Then it was announced that Kenya would be the team involved with no explanation from SARU on the change. Personally I think the ZRU insisted on games being hosted in Zimbabwe and the sponsors were not happy with that as advertising would have been a problem in Zimbabwe. Brad Barritt would have been eligible for Zimbabwe. Both his father and grandfather played international rugby for Rhodesia. But in reality almost none of these guys would have represented the Sables, politics notwithstanding. Week 3 of the NRL was played last weekend with a few more closer games. Mutare Sports Clubs win is especially significant as they were only just promoted and they still managed to beat one of the regular teams. Week 4 was played yesterday and another good result for Mutare, the top 3 teams once again showed how much more advanced they are with Harare SC stamping their authority over the Matabele team. Busters are looking like they will put up some resistance for the Bulawayo teams and Gweru SC is improving well.